Based upon years of study of medieval manuscripts and enlarged by laboratory analysis of medieval paintings, this book discusses carriers and grounds, binding media, pigments, coloring materials and metals used in painting. It describes the surfaces that the medieval artist painted upon, detailing their preparation. It analyzes binding media, discussing relative merits of glair vs gums, oil glazes, and other matters. It tells how the masters obtained their colors, how they processed them, and how they applied them. 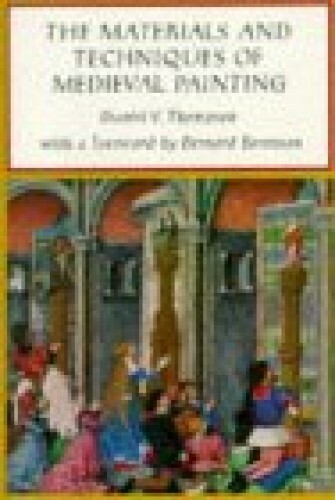 It tells how metals were prepared for use in painting, how gold powders and leaf were laid on, and dozens of other techniques. Kundenbewertungen für "D.V. Thompson: The Materials and Techn. of Medieval Painting"